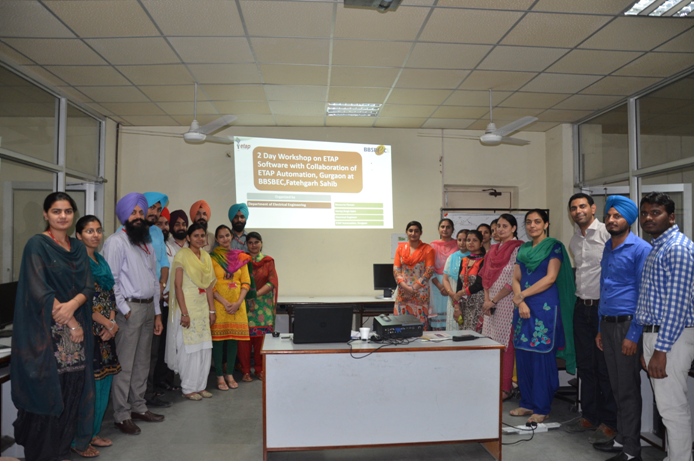 A two day workshop on ETAP from 29th to 30th April was organized by Electrical Engineering department . The main objective of the workshop was to build simulation skills in field of power systems. In this fast changing world where there is a need of stable power, the workshop was of lot of significance as the staff had hands on experience in building a power station from scratch and control of it. Simulation tests pertaining to fault analysis, transient analysis, stability and protection were done. The faculty had undergone test simulations and it will be helpful in culminating practical and theoretical knowledge. A lot many thesis problems were also discussed with the ETAP representative Mr Hartej. Dr Gursewak singh Brar (HOD) ensured that regular development of staff is important and hence such programs will be a regular feature in department. 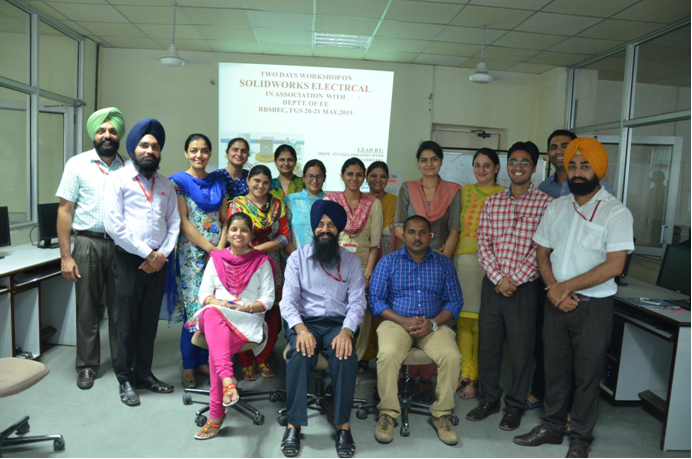 Department of Electrical engineering organized a workshop/training on “SOLIDWORKS ELECTRICAL”on May 20-22, 2015. The aim of the workshop was to equip the faculty/staff members with hand on training regarding: Easy-to-use suite of collaborative schematic design tools drive rapid development of embedded electrical systems for equipment and other products.e electrical schematic design data with the SOLIDWORKS 3D model of a machine or other product—bidirectionally and in real time and determination of optimal lengths for wires, cables, and harnesses, all while maintaining design and bill of materials (BOM) synchronization between electrical and mechanical designs.